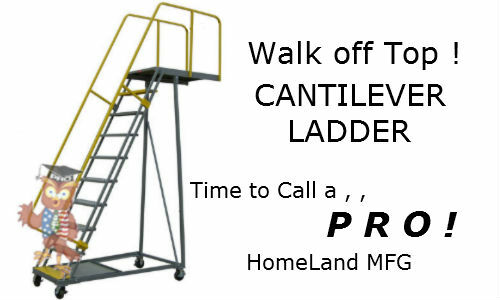 Homeland Manufacturing, Inc > Cantilever Unsupported Ladders. 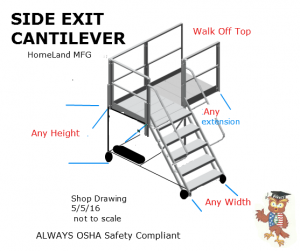 Cantilever Unsupported Ladders and Mezzanines. 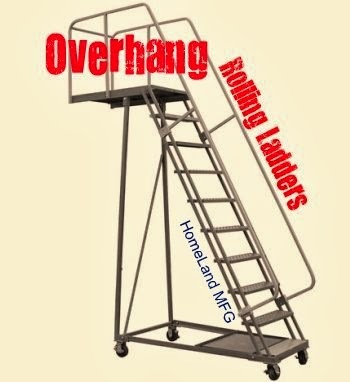 CANTILEVER UNSUPPORTED LADDERS ( cantilever ladders, overhang ladder, counter balance ladder), we sell WHOLESALE. 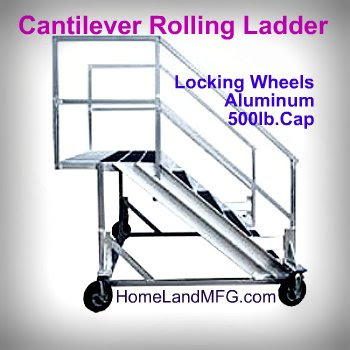 These amazing rolling unsupported cantilever ladders are often used to access storage shelving. 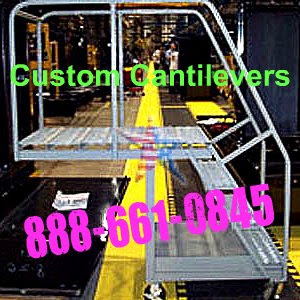 Cantilever Ladders also inspect cargo, or are used as a rolling maintenance platform. 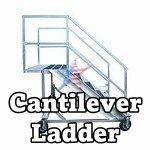 Our Commercial Cantilever Ladders have a cantilevered unsupported portion. 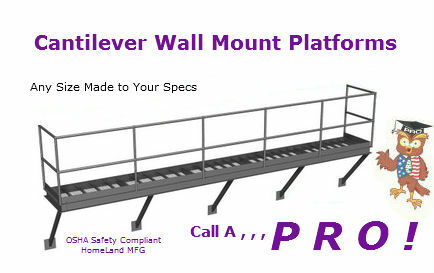 The extended platform is perfect for clearing hard to reach areas. 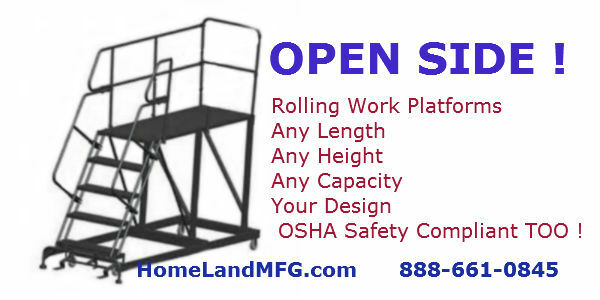 We can install walk off safety chains, make a larger extended reach top platform, galvanize it or make a beefier capacity. 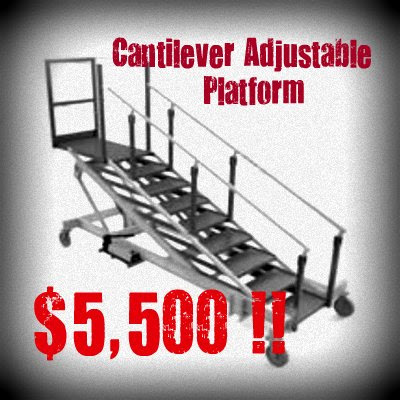 See our VIDEO on Unsupported Cantilever Ladders. 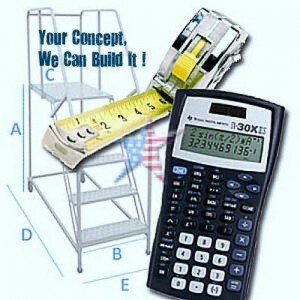 We are Experts and Ready to Share our Knowledge and advise. 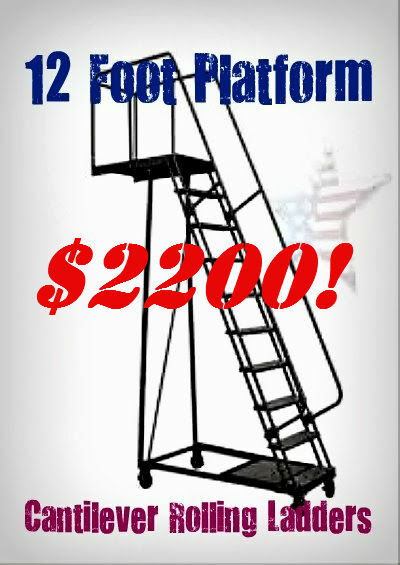 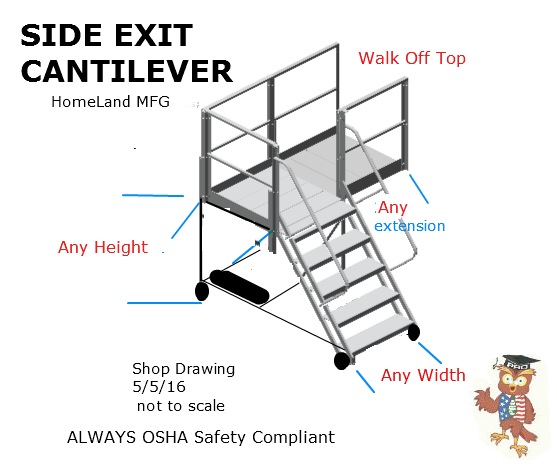 All of our Cantilever Ladders ship using the industry standards for ladders and work platforms. 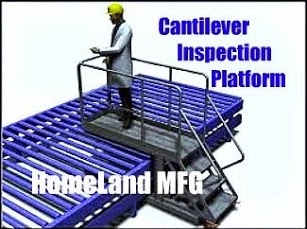 After a thorough Quality Check is performed on each product, they are either palatalized or crated. 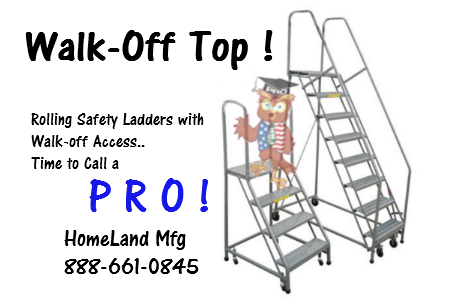 Shrink wrapping and padding adds an extra layer of protection. 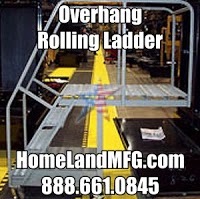 Always inspect your shipment upon delivery.